What do you do when you discover your whole life was a lie? In Mary Carter’s unforgettable new novel, one woman is about to find out. . .
At twenty-eight, Lacey Gears is exactly where she wants to be. An up-and-coming, proudly Deaf artist in Philadelphia, she’s in a relationship with a wonderful man and rarely thinks about her difficult childhood in a home for disabled orphans. That is, until Lacey receives a letter that begins, You have a sister. A twin to be exact. Learning her identical, hearing twin, Monica, experienced the normal childhood she was denied resurrects all of Lacey’s grief, and she angrily sets out to find Monica and her biological parents. But the truth about Monica’s life, their brief shared past, and the reason for the twins separation is far from simple. And for every one of Lacey’s questions that’s answered, others are raised, more baffling and profound. Complex, moving, and beautifully told, My Sister’s Voice is a novel about sisterhood, love of every shape, and the stories we cling to until real life comes crashing in. This book was far from what I expected but it is far more gripping. The story is full of gut wrenching loss, budding love, rekindled relationships, and floods of emotion. You will be stunned; you will want to cry at times. I loved getting to know Lacey and Monica and all the other complex characters in the book. The plot and character are all so real and well developed. I enjoyed learning some of the inner workings of the Deaf community. You can tell that the author is very knowledgeable about the Deaf world. Even though learning the truth was heart wrenching, I enjoyed the ending of the book. It was a great end of the story and new chapter for the characters inside. All the answers to my questions were answered by the end of the last page. If anybody thinks their family has secrets, no one has more than this family. This is a must read for any chic novel lover and anyone looking for an emotional filled story of family, friends, love, and loss. 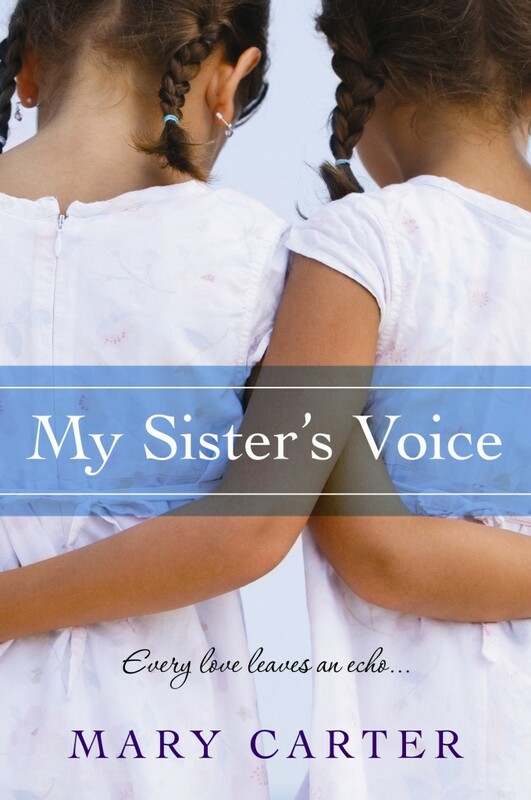 Buy It: You can buy a copy of My Sister’s Voice starting May 25, 2010 for $15 US/ $17.95 CAN. You can pre-order it right now on Amazon. Disclaimer: I received this book in exchange for an honest review. No monetary compensation was involved. All the thoughts and opinions are my own. Sounds like a great book. I'll have to check it out! I'm definitely putting this one on my list. This sounds like the kind of book I could get into. This looks like one full of emotion. Will be adding it to my summer reading list.